Starting from 2/10, Walgreens will have Honey Bunches of Oats Honey Roasted Cereal and Honey Bunches of Oats with Almonds Cereal priced at $1.99 each. In addition to this, you can submit for ibotta rebate and also receive $0.25 Bonus when you redeem both rebates. 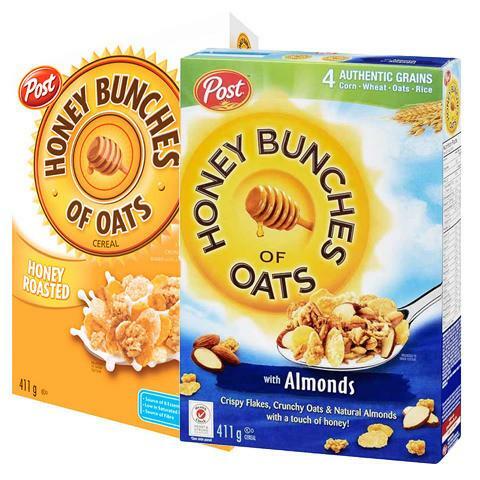 You can get Post Honey Bunches of Oats Cereal ONLY $1.27 Each after offers. Walgreens has Post Honey Bunches of Oats Cereal ONLY $1.27 Each Starting 2/10.